These are sooo goood! 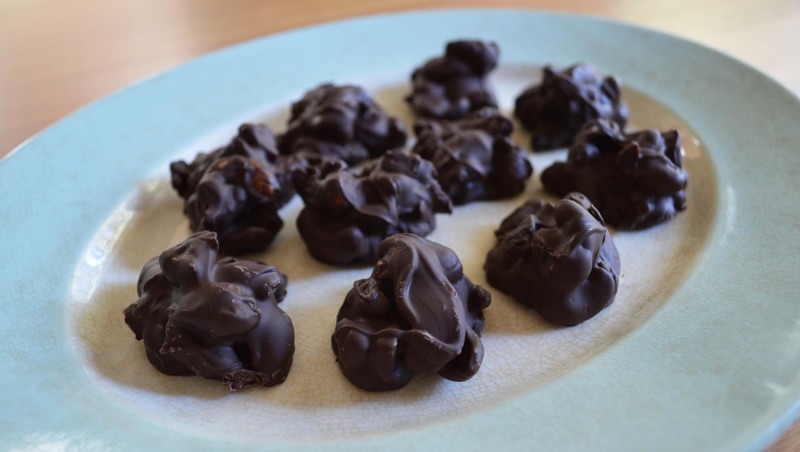 Just three ingredients and you have little clusters of choccie goodness. 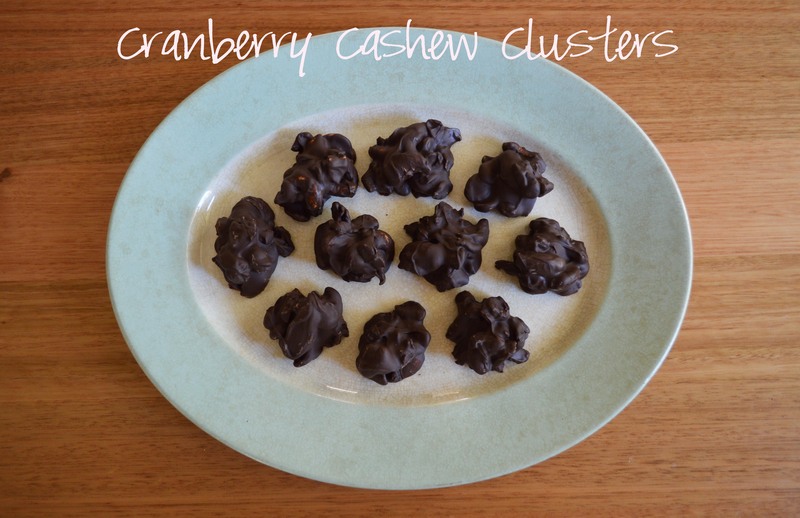 Cranberry Cashew clusters are easy to make, all you need to do is melt, mix and set. Once the chocolate has melted, add the cranberries and cashews and mix well. 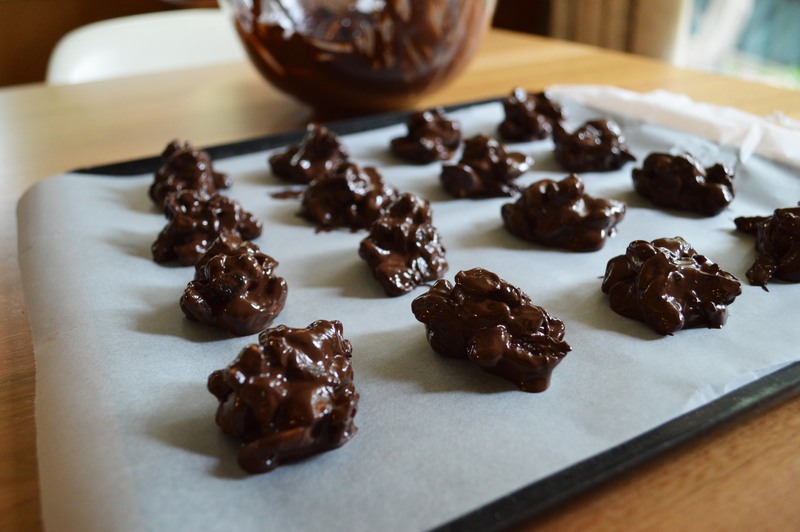 Drop 2 teaspoonfuls onto a baking tray lined with baking paper. Leave to harden at room temperature. Once set you can indulge in a few while putting them in a container! Sometimes for variation I add some chopped up marshmallow and use peanuts instead of cashews. You could probably use sultanas instead of cranberries too. You can make any different combinations and add a whole lot of nice things in. 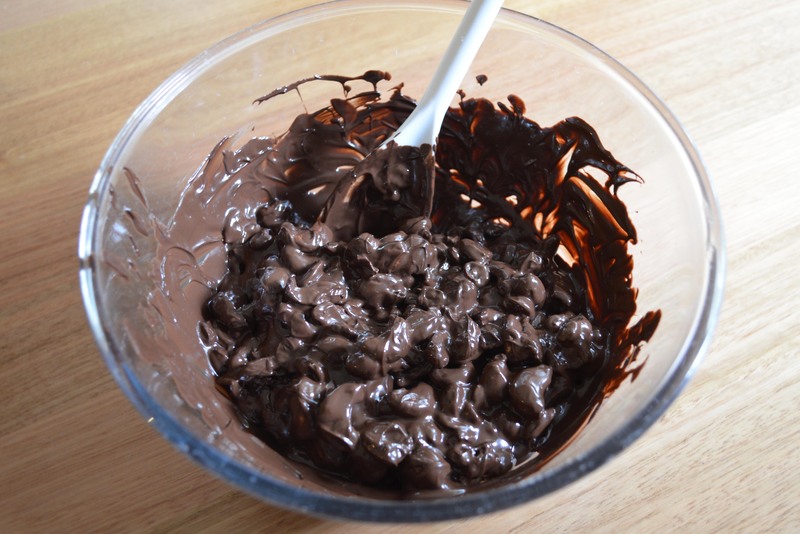 Just make sure you have enough melted chocolate to cover the extra ingredients. 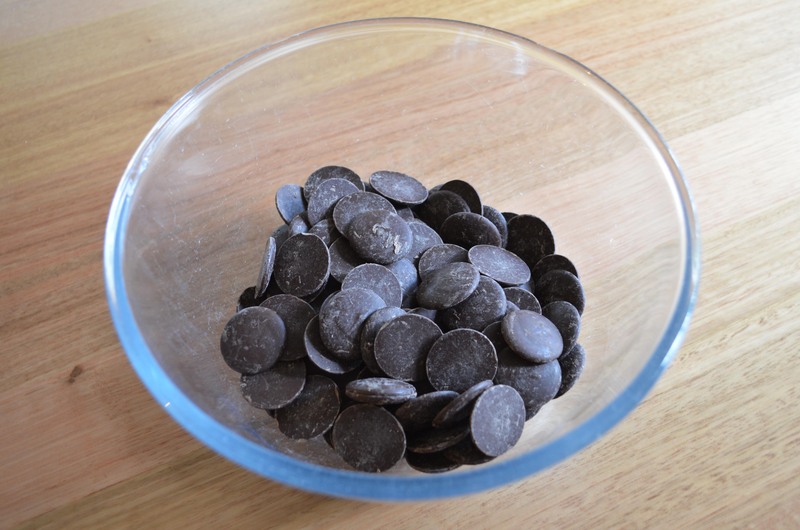 Do you make any little treats that just have a few ingredients? Joining in with Chantille Fleur for..
Yum! These look so easy, and I imagine you could add all kinds of things. I’m definitely going to try this, thank you. Oh YUM! And so easy too….I must try these out. I bet they’d be nice with dried sour cherries too! Thanks so much for sharing and for linking in Simone! PS do you mind if I ask where what your recipe widget is called? If it is a widget…I’m not very good with internet stuff 🙂 I’d just like something that makes my recipes neater, tidier and easy to print but don’t know where to look or if this is even available for blogger. 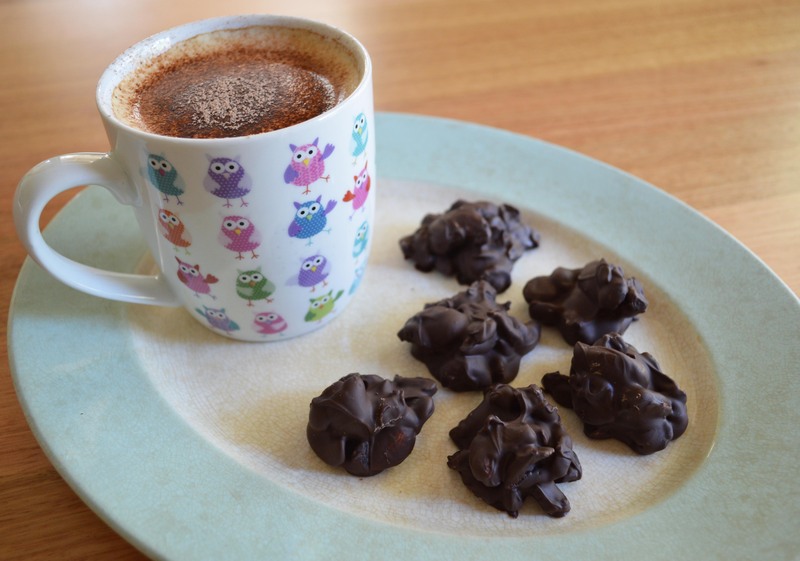 Hi Sarah, they are very yummy and easy! Ooo, dried sour cherries sounds good. You could maybe add some shredded coconut with the cherries aswell, yum! My recipe widget is called Easy Recipe. Unfortunately it is only available for wordpress. I did a quick research for something for blogger but couldn’t find anything. Ummmm… yummmm! I love how easy these are and I even have all these ingredients in my pantry right now so I’m going to do it! Make them! Yeee ha! 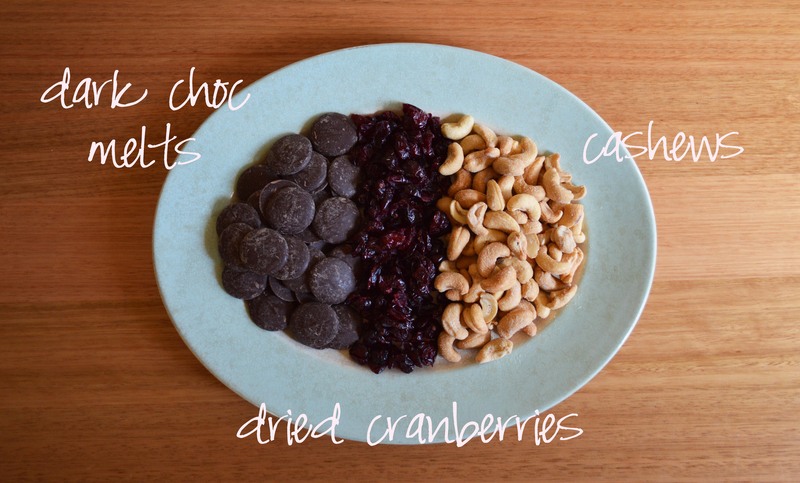 Oooh, I do the chocolate and nuts all the time but I’ve never thought to add dried fruit. I bet this is soooo yummy! Pinned! Thanks for sharing it with us at the Merry Monday Link Party! I love all of those things. Why didn’t I think to put them together?? #droolworthy These look and sound delicious! Thanks for linking up with #FoodieFridays! Stop by tonight to see if you were featured!